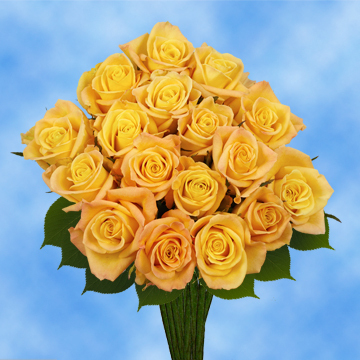 Yellow roses are a new addition to the bud family. They were recently discovered in the Middle East growing as beautifully and brightly as the sand dunes of Arabia. 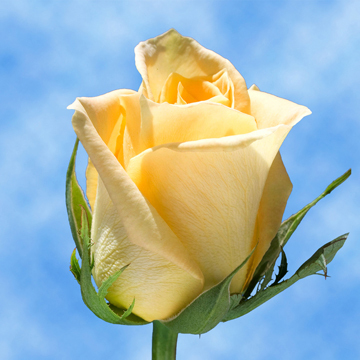 The Skyline is a Light Yellow Rose that is almost lemony. Having been a representation of friendship, pure bliss, and quality relationships; it is flawless for International Friendship Month festivities, Birthday parties, or as a way to bring some rays of sun shine and hope to those who need it. 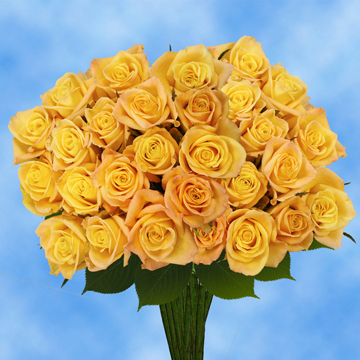 It can also be used in a spring wedding bouquet to add some color and happiness to that special day. All of our blossoms are bathed in the best sunlight found in Colombia. 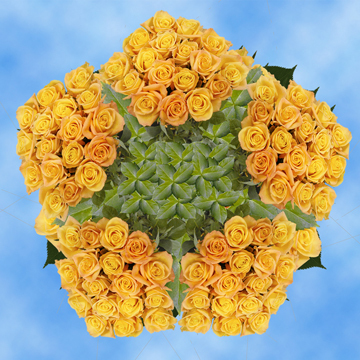 Globalrose has the most modern greenhouses which are located in all year long perfect weather so we can grow throughout the entire year and provide for our customers whenever they are in need. If you are conscious about the environment, do not fret, so are we. Following the most rigorous environmental standards and practices is something Globalrose has adopted from the very outset. Each product is a testament to our commitment to Mother Nature. 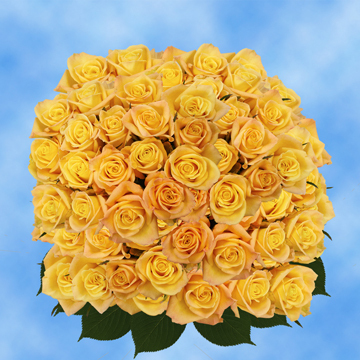 Fresh buds upon delivery are something we have guaranteed since our initiation. 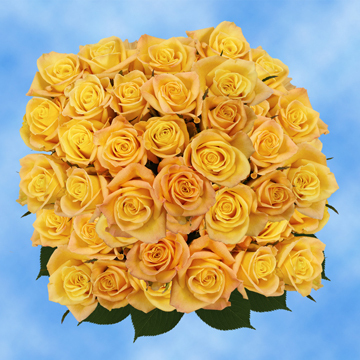 Before we package your Light Yellow Rose order we cut them directly from the farms and get them to you as quickly as possible. 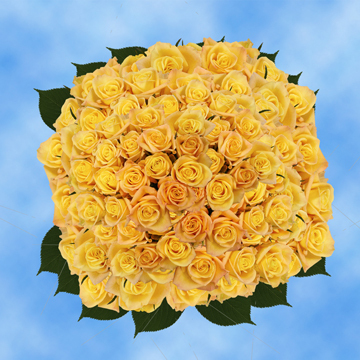 When you open your parcel you will notice all of your flowers will have their buds closes, do not panic, they will take up to seventy hours for them to fully blossom. All shipping to Continental USA customers is free thanks to FedEx.